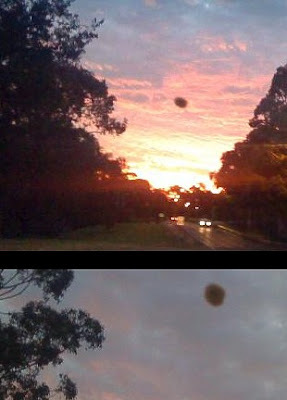 THE Gold Coast has reported the second highest number of UFO sightings in Queensland in a year. According to UFO Research Queensland, an organisation established in 1956 which records and researches UFO sightings, the Gold Coast ranked second to Brisbane in the number of unexplained sightings between October 2008 and September 2009, with 25 reports out of a total 123 coming from the Coast. Brisbane had 28, while Caboolture, Cairns and Logan were next on the list, all with five reports recorded. For many years, the Australian Air Force was responsible for handling Unusual Aerial Sightings at the official level but in the 1990s, the department stopped archiving reports. Nowadays sightings are reported to local police authorities or civilian UFO research groups in the State, if at all. UFO Research Queensland president Sheryl Gottschall said sightings ranged from strange lights in the sky to detailed descriptions of craft. She believed the Gold Coast recorded more sightings because of its location and holiday appeal. "If you look at the population difference (between Brisbane and the Gold Coast), it's interesting," she said. "We think it's because of the geography of the Gold Coast, because it is fairly flat and you can see more of the sky, particularly out over the ocean and/or because of the population. "Many (people) are on holidays so they might be more casually looking at the sky (and notice these things)." The latest sighting was on Saturday, when Robina resident Pat Gatward saw four strange orange lights in the sky about 6.20pm. Mrs Gatward said she was having dinner with her husband when they noticed the phenomena in the sky. "It wasn't fireworks or anything like that, I don't know what it was. I've never seen anything like it ... it was very strange," she said. Mrs Gatward was undecided about whether or not she believed in extra-terrestrial life. Police said they had not received a report about the lights.